The kittens were saved JUST in time. 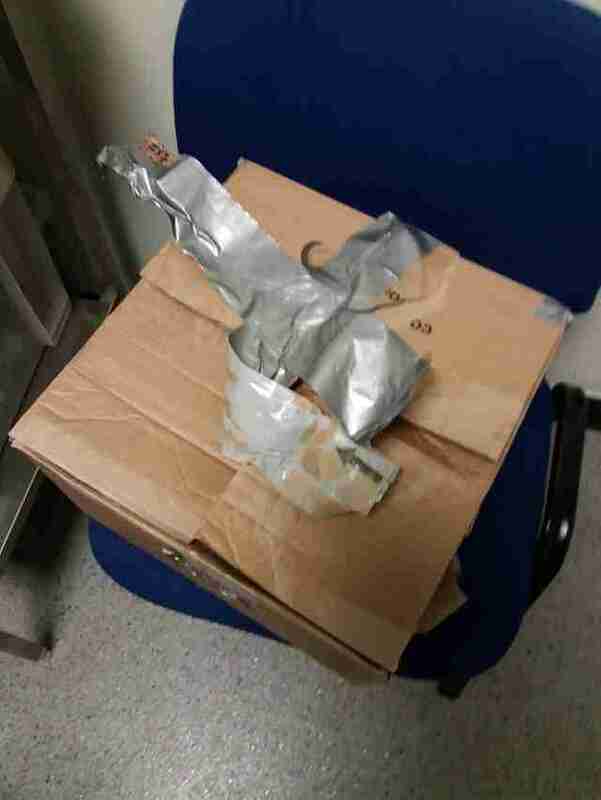 A Good Samaritan was passing by a bus stop one day when she spotted a cardboard box taped shut. At first it didn’t seem all that unusual, until she got closer to the box — and realized there was meowing coming from inside it. She quickly opened up the box and found three tiny kittens inside, just waiting for someone to help them. The box had been sealed shut with duct tape, and there was no possible way the poor kittens could have escaped without assistance. They were dumped and abandoned during one of the hottest weeks of the year so far, and when they were finally freed from the box, they were clearly overheated and terrified. 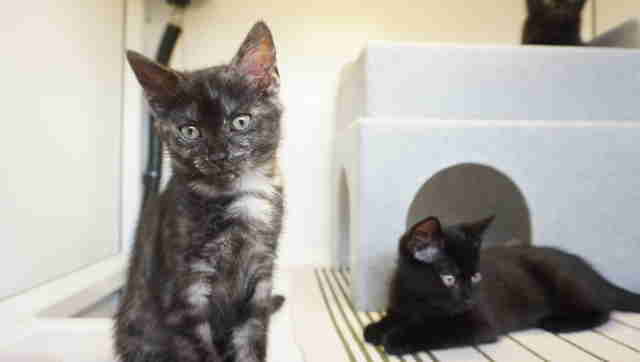 The person who found them knew they needed help fast, and took them to the Mayhew Animal Home in London. 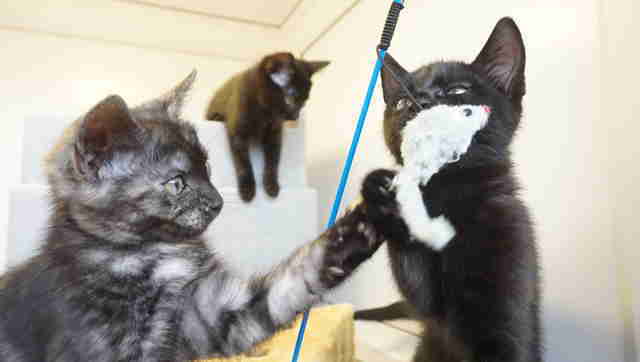 Staffers at the Mayhew Animal Home quickly took the kittens to their vet clinic, where they were checked out and miraculously deemed fairly healthy. They were all a normal weight, and none of them suffered from hyperthermia despite being left out in the heat. 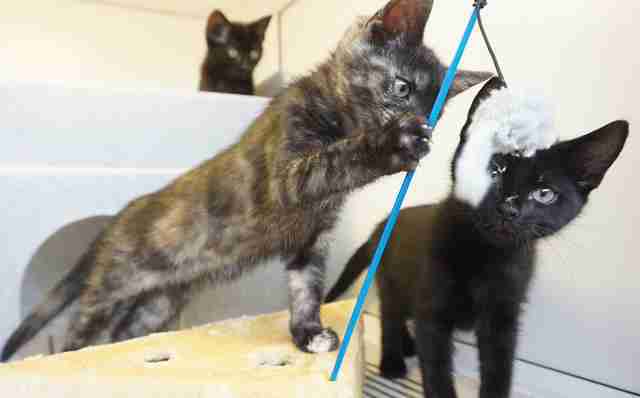 The 11-week-old kittens were very lucky someone found them when she did; otherwise, they might not have made it. 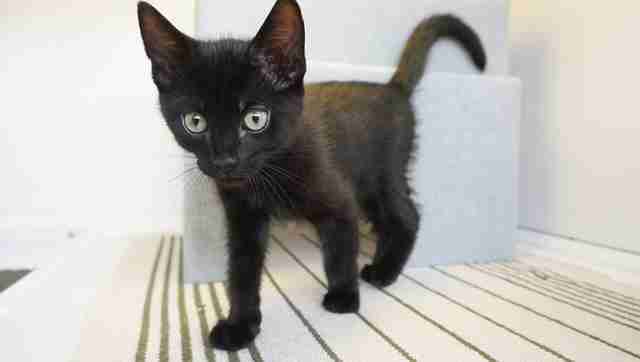 Staff decided to name the adorable kittens Jackie, Jenny and James. Since being rescued, all three kittens have been claimed by different families and will be headed off to their loving forever homes very soon.